Centripetal force, illustration. The green arrow indicates the direction of centripetal force. Newton's First Law of Motion states that an object will continue in a state of rest or uniform motion in a straight line unless acted upon by a force. 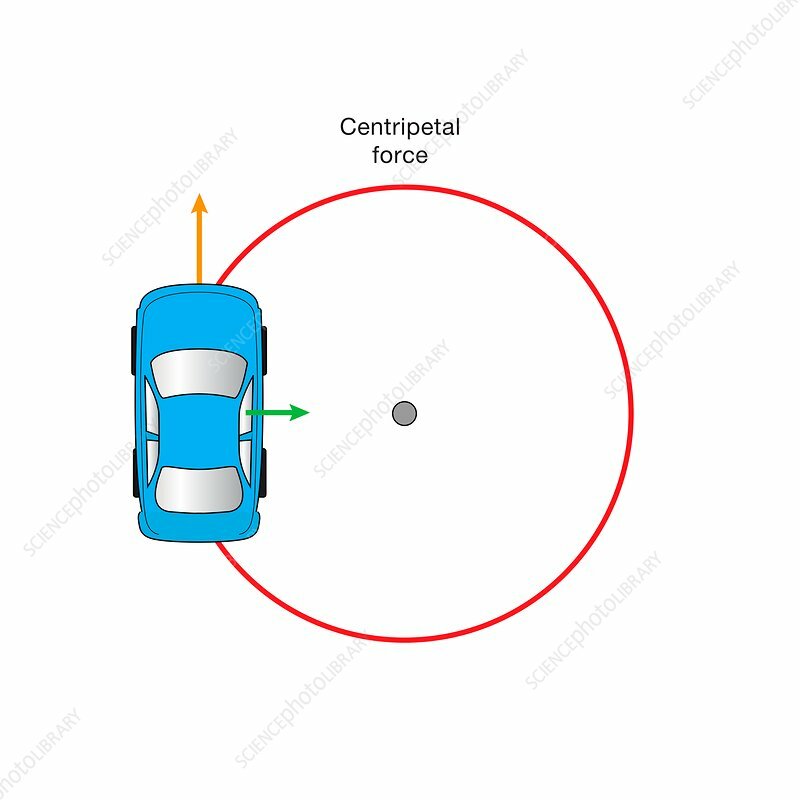 Centripetal force is the force that makes a body follow a curved path, preventing it from continuing in a straight line, and is directed towards the centre of the circle.